This size chart is a guide to help you select the best size. BUGBite holsters are made of Neoprene and have a stretchy fit. The size chart is a good guide but much like any garment regardless of what size you are, fit is a matter of personal preference and can vary depending on how a leg is shaped, how muscular the calf is or not. If you are in between two sizes, we recommend going with the smaller size. 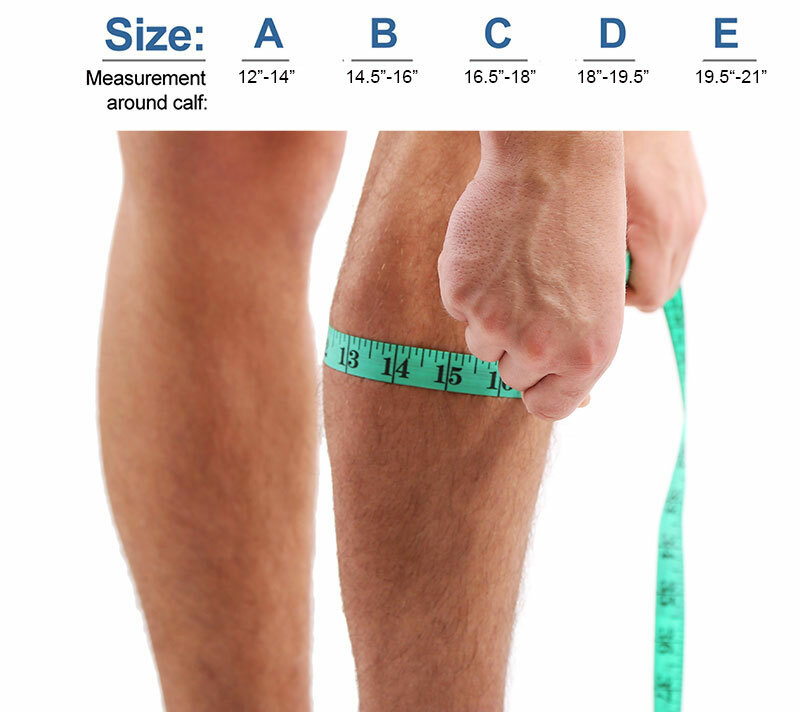 Please measure around the widest part of your calf. If you don’t have a tape measure, we recommend finding a piece of string and wrapping it around your calf and marking it … then measure the string with a ruler. NOTE: The Size Chart below has been updated to provide a tighter fit. It will not match the size chart on the current product package.